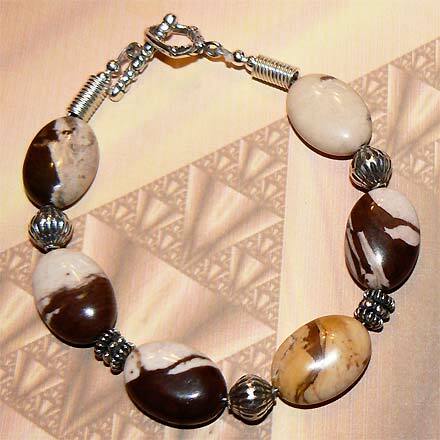 Sterling Silver Brown Zebra Jasper Bracelet. The thermometer says it's 2 degrees Fahrenheit as I write this, but the lovely colors of brown and off white are making me crave the Häagen-Dazs and Ben & Jerrys. Can you taste it? For those who are interested in Astrological significances of stones, Jasper corresponds with Virgo and Leo.